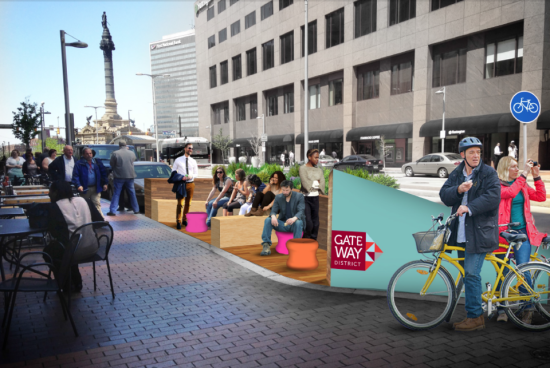 Parklets are coming to Cleveland. The urban planning tool remaking urban streetscapes from Los Angeles to Chicago got a nod from Cleveland’s Planning Commission last week, clearing the way for an outdoor living room to replace a parking space in front of the popular Noodlecat restaurant at 234 Euclid Avenue. Pending permits, the pedestrian area and space for street theater should pop up in less than one month, reports the Cleveland Plain Dealer‘s Steven Litt. 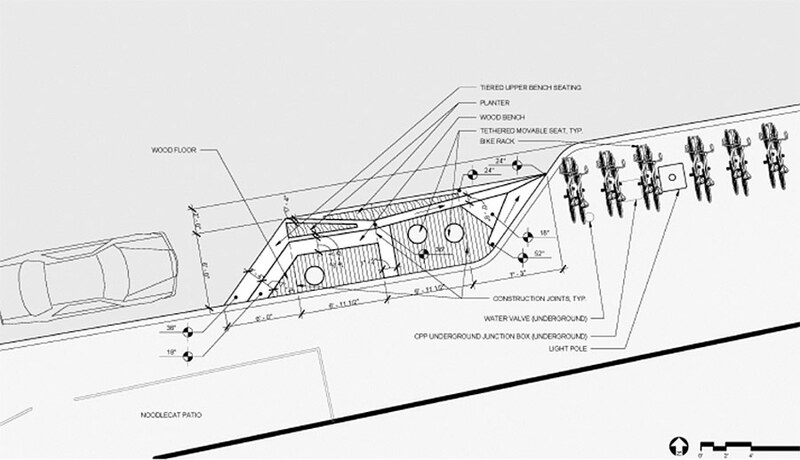 The nonprofit Historic Gateway Neighborhood Corp. worked with David Jurca of Kent State University’s Cleveland Urban Design Collaborative and architect Jason Rohal of Vocon to design the space, gathering about half the of the necessary $7,000 from the co-op Cleveland Collectivo. 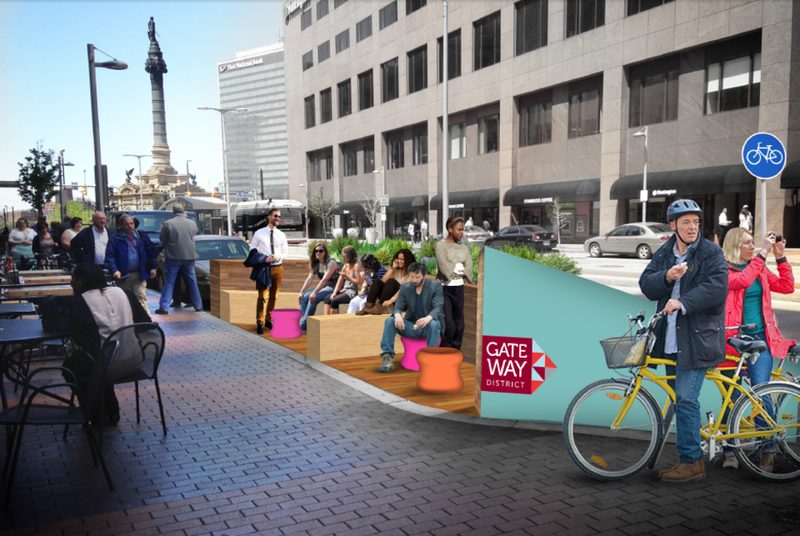 Cleveland’s first miniature, plug-in public space will take the form of a wooden deck, outfitted with moveable furniture and stools. If it’s popular, it could be the first of many.